El departamento es tal se lo ve en las fotos. La ubicación es excelente, a unos minutos de Plaza Catalunya. Very good ! Perfect Lacation! Near City! This one bedroom Barcelona apartment is perfect for those looking to stay in the very center of Barcelona. Its close proximity to Plaça Catalunya and Passeig de Gràcia allows easy access to some of the best shopping areas in the city. It is also just a few moments’ walk from other top attractions such as Las Ramblas and the Gothic Quarter. There are several public transportation options close by making it easy for you to explore other parts of Barcelona. The apartment has one bedroom with two single beds, which, alongside the double sofa bed, mean it can comfortably accommodate up to four people. The apartment has one bathroom with a shower/bath. The kitchen modern and comes fully equipped. Also included: a washing machine, air conditioning/heating, TV, and Internet. Spend your morning on the balcony off the living room area or enjoy a homemade dinner around the dining room table. 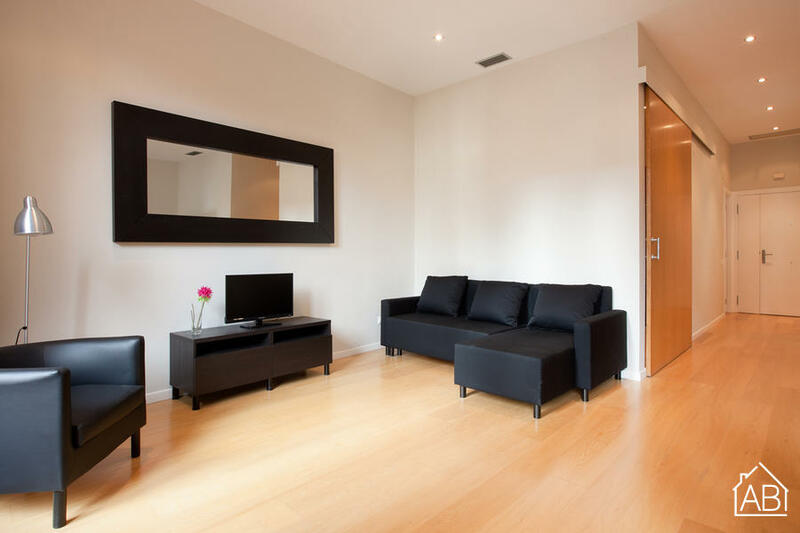 This very modern and centrally located apartment is ideal for a getaway in Barcelona.